Vannies Paws Cattery is a CFA and TICA registered show cattery located in Southeastern Wisconsin. 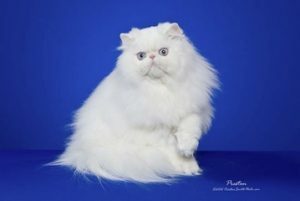 We have Persian, Himalayan and Exotic programs that are bred to CFA and TICA Persian standards. We are dedicated to improving and promoting the breeds. All of our cats come from show quality lines and are DNA/PKD, FIV, and FELV tested negative. We fell in love with this breed 19 years ago when we went to a Milwaukee Cat Club Show in Wisconsin. All our kittens are hand raised and socialized from birth on in a non cage/non smoking home. They are all given age appropriate vaccinations, worming and licensed vet exam. We consider health and personality our main goals, as well as showing our cats and do so as often as our time allows us.